In our world of increasing demands and expectations which is changing at the speed of light…. How can I thrive? How can my organisation thrive? How can my community thrive? How can you thrive no matter what is happening around you? We coach business leaders to be highly successful in the most holistic form of the word, helping highly talented individuals to achieve their career ambitions whilst also being healthy, happy and fulfilled. Last year, more than 10.4 million working days were lost to stress in the UK and this only part of the problem. The real loss is decreased productivity due to stress when people come to work and presenteeism. The estimated financial cost to the economy of absenteeism and presenteesim is £23.5bn, or over £1,200 for every working adult. Last year the number of people sleeping rough in London grew by 75%. 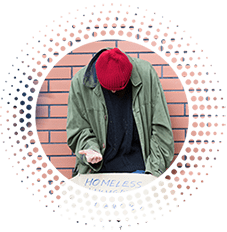 If you become homeless it’s very hard to get yourself out of the cycle; it’s practically impossible to get a job if you have no fixed abode and you get caught in a viscous circle. With offenders, similarly it’s easy to get stuck in the loop. 73% of young offenders released from jail reoffend within a year. The key to achieving and performing at your full potential is different for every individual. Thrive helps you find YOUR key. Working mostly with individuals at transition points in their careers, helping them build personal resilience and confidence so they can perform at the highest level. We enjoy helping our clients to discover their own personal leadership style which reflects their own values and who they are as a person. It’s much easier and more effective to be a 100% version of you rather than a 50% copy of someone else. With a wealth of commercial experience to draw upon, we get a kick from supporting business leaders to formulate and implement successful profitable strategies. The key to the success of any coaching relationship is a high level of trust and openness. We flex our style to enable our clients to get the most from each and every coaching session. Sometimes we nurture and support and at other times we challenge and be direct. The intention is to support our clients to make the changes in how they think, feel and behave so they can be even more successful. Finally, personal development is far too serious to be taken too seriously; our coaching sessions are enjoyable and fun. Thrive can also be applied company-wide to create a happier and more productive workplace. Thriving companies are leading the way. In London alone, over 75% of Londoners report their productivity is negatively affected by stress. Yet productivity is only part of the story. Increasingly people are drawn to organizations that promote the wellbeing of their people. Google, whose staff turnover is under 5%, have a stated ambition to be the healthiest company on the planted; healthy in terms of financial performance but also in terms of the mental and physical wellbeing of their people. In the face of all these strong commercial reasons for investing in employee wellbeing what we are seeing more and more is the moral justification, with more clients saying “it just feels like the right thing to do”. If stress is the problem, then what’s the solution, how do you support your people to be productive, healthy happy and fulfilled. We have developed a programme called Thrive, which supports individuals to thrive no matter what is going on around them. Thrive is a programme which supports individuals to take responsibility for their own resilience, physical and mental wellbeing. It uses advanced NLP techniques to help individuals to identify the factors, which work best for them personally and then lines up their motivations to do the things that will make the biggest difference. Thrive is an experiential workshops which helps people build resilience and promote wellbeing. It can be run as part of an Induction, Management Development or Leadership programme or a stand-alone intervention to support people at transition points in their careers. Thrive is coaching framework which can be used in a number of contexts. Internal coaches in a number of organisations to support their people to be more resilient are currently using it. 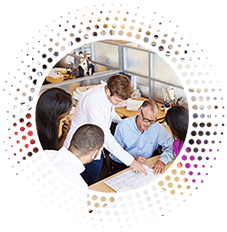 Thrive is the basis of a Coaching Skills for Managers workshop, which gives Managers the skills to have holistic coaching conversations with their people. We’ve recently rolled out a programme with one of the regulators to support managers to coach their teams through unprecedented levels of change. Thrive is an amusing and inspirational speech to get people to take responsibility for themselves and pay attention to the things that make a difference to them personally so they can perform at their best over time. A job is the grounding of a normal productive life and the key to breaking the cycle of homelessness and re-offending. The thing that makes the biggest difference in getting somebody out of the loop of homelessness or reoffending is getting a job; any job. Feeling the need to do something about the problem we’ve partnered with charities that successfully get people out of the loop by getting them jobs. Organisations like Prêt a Manger, who have taken over 250 people in the last 5 years, of which an impressive 83% of people were offered a full time job after a 3-month apprenticeship. We act as a broker between corporates and charities creating connections to help more people get jobs. 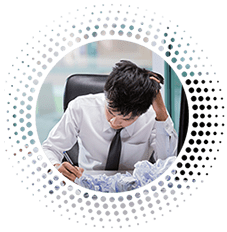 This takes many forms, from influencing organisations to take on homeless or ex-offenders, to matching the skills of individuals from corporates to help charities or individuals get jobs. It’s very simple. In the work that we do, we constantly come across people who want to give back; people who see the way to fully thrive is by helping others. We connect their specific skills with the needs of charities or individuals to get more vulnerable individuals out of the loop and back into employment. More homeless and young offenders exit the loop and find jobs. They get back a feeling of control over their lives with improved self-esteem and independence. Individuals who volunteer get a sense of satisfaction having made a positive impact using their specific skills. Many volunteers have the sense of having received more from the experience than they have given. As Churchill said, “We make a living by what we get but we make a life by what we give”.